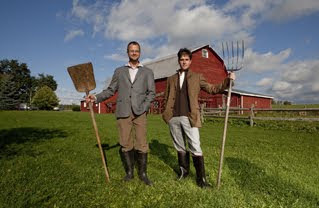 Well, we think the Fabulous Beekman Boys, Dr. Brent Ridge and Josh Kilmer-Purcell, are famous and just getting more famous and fabulous as the days march on. (Though we are not sure they could get any more fabulous.) We would like to take some credit for their success and why shouldn't we. We were in their camp and encouraging everyone to buy their book and take a gander at their television show before it ever aired and long before they graced made the pages of Food & Wine. 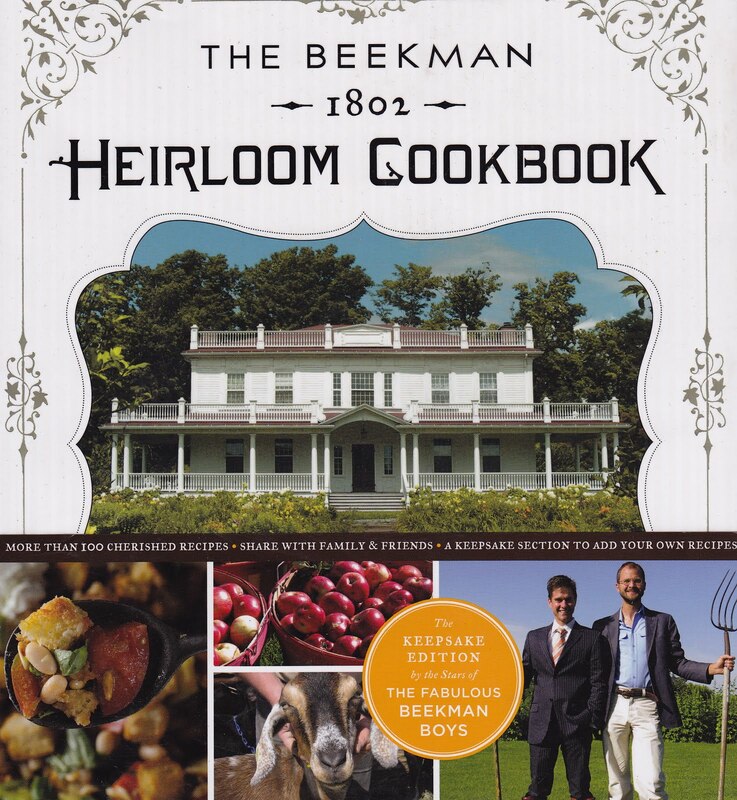 Since our blog, Cookbook Of The Day, is simply enamored of cookbooks we were beside ourselves when we found out that a Beekman Boys cookbook was in the works. It went immediately on our pre-order list and it arrived last week. Let me tell you that it was worth the wait. For those of you who watched every episode of the Fabulous Beekman Boys, you know there was controversy over the title of the cookbook which was resolved in Dr. Brent's favor. You will also remember the preliminary photo shoot for the cookbook. If you saw that, you know that ever detail was meticulously thought out and shot and re-shot until it had the Beekman stamp of approval. Needless to say, the picture of the food by Paulette Tavormina are works of art. The recipes are bright and homey. There is a good mix of things you have heard of, like fried green tomatoes and roast leg of lamb and interesting twists. The Harvest Beef Chili not only has beans but nice big chinks of pumpkin, which we find to terribly underused. We are big fans of augmenting the plain mashed potato and this recipe is a fine way to do just that. In a medium saucepan, combine the potatoes with salt water to cover. Bring to a boil, reduce and simmer, and cook until the potatoes are fork tender. Drain and return to the pan. Meanwhile, in a medium skillet, melt 2 tablespoons of the butter over low heat. Add the sorrel and cook, stirring occasionally, until it is very tender and soft, about 4 minutes. 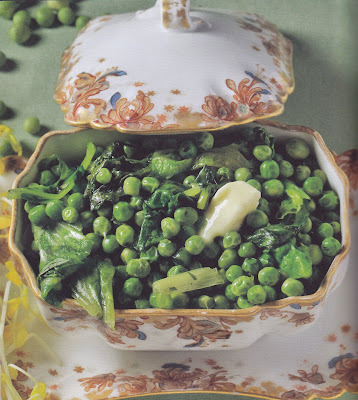 With a potato masher or a handheld mixer, mash the potatoes with the milk, salt, and remaining two tablespoons of butter, Stir in the melted sorrel and serve. 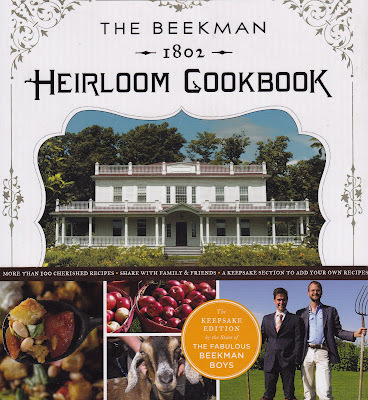 While The Beekman Boys might live way up there in New York, their cookbook has a gentle Southern vibe mixing rustic fare with recipes that offer a nice addition to Sunday Dinner. ...they could always buy another copy. The recipes sound delicious - I love the picture of the peas..I will look out for the book. I have a weakness for cookbooks. Although I would not call myself a particularly accomplished cook, I like to read cook books. This one seems particularly charming! Their cookbook is the best in our country! I swear it!